Enjoy all the four activities in one exciting trip. 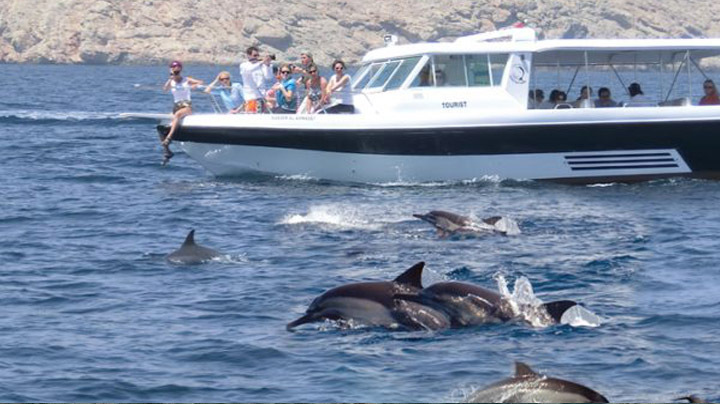 Explore your day at the ocean with amazing dolphin watching spinning in the air and having fun swimming in the beautiful Sea Of Oman. Crystal clear water inviting you to relax and snorkel among the most beautiful corals and colorful fish found in Bandar Khiran. Picnic on the secluded beach and let you enjoy the serenity of cove and on the way back enjoy the Oman’s breathtaking coastline views. We provide beach mats, beach umbrellas and towel. 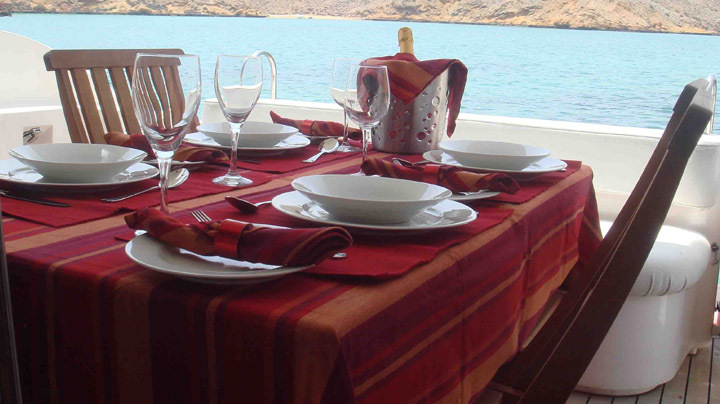 Transfers from the hotels/ Snorkeling equipment/ Picnic Lunch box and refreshment on board.